I've chosen this platoon, one of the finest the United States ever produced, to represent all our fighting men in Korea ... there were a great many fine men, in all the services. To mention just one other outstanding group, I pay particular respect to the fighting comrades of the First Marine Brigade in the Peninsula, the 27th Infantry Regiment, 25th Infantry Division. 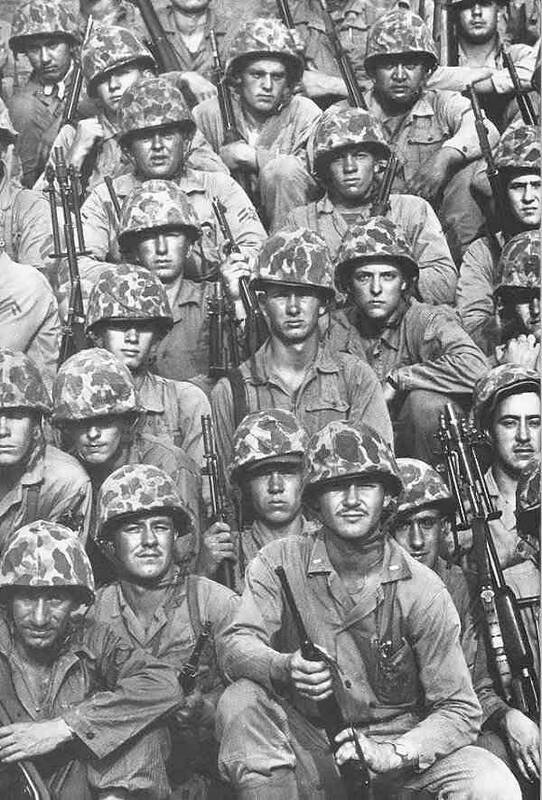 The above pictured rifle platoon fought throughout the Pusan Perimeter battles, Inchon, and across the Han River to help in the recapture of Seoul. The survivors of the vicious South Korean battles would need all their courage and will ... ahead of them China was preparing a huge veteran army that had proven itself in the terrible struggles of China's Civil War. These two brave armies would meet ... at the Chosin reservoir.